Originating from St. Clair Shores, Michigan, U.S.A., Letching Grey started out as high school friends back in 1982. Sean Kelly and Derek Lavis had the idea and the name. Through the years, the band saw many member changes. Eventually, a stable guitarist would be found with Sam McGee. Three years after finding Sam, the band had earned enough money from playing gigs to go into the studio. At this time, the band looked to original Letching Grey bassist, Mark Gastmeier, to take on the bass guitar duties for the record. Letching Grey finally put out their first and only demo, “Seraphim”, which put them on the map in the metal world! Now after 22 years Arkeyn Steel Records contact with the band and for the first time offer a digital remastered CD with the band’s demo -“Seraphim” (1995) – plus 2 bonus live tracks (1994/2008). 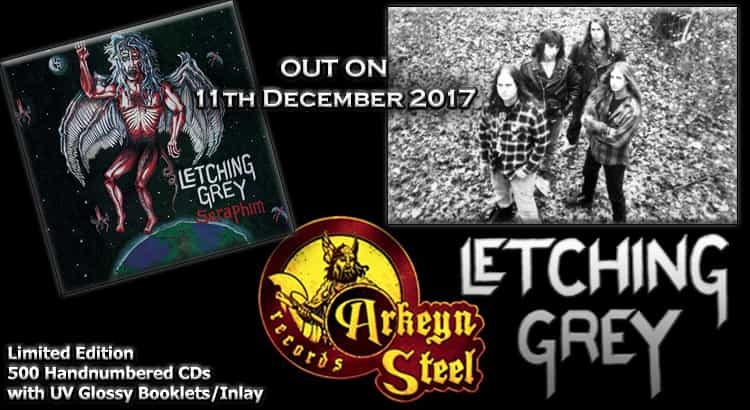 Letching Grey deliver a powerful mixture of US Heavy/Power METAL and all worshipers of early JAG PANZER, ARMORED SAINT, HELSTAR, OMEN, HEATHEN’S RAGE must listen! This jewel demo comes in a 12-page UV glossy booklet, featuring original fantasy cover, never seen before band photos, bio and lyrics! Get ready for this real US Metal GEM! Don’t miss it! US Progressive Power metalers Descending Fate, was formed from leader and guitarist of the band Jim Springer, in 1991 in Tarpon Springs, Florida. 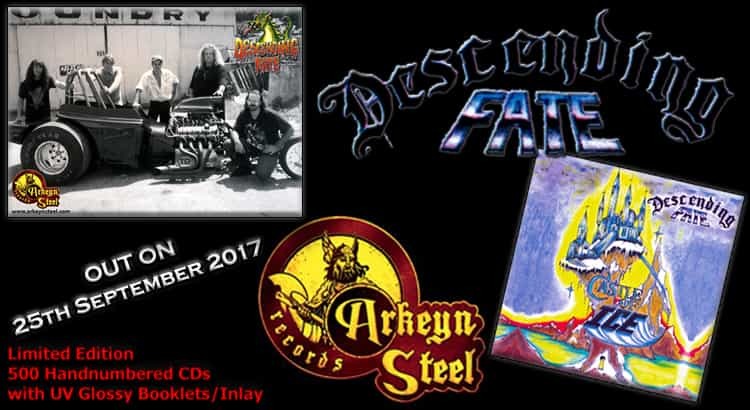 From 1993 until 1996 Descending Fate recorded 3 demos and Arkeyn Steel Records have managed to track down this magnificent band and release for the first time on CD both tapes! This band delivered US Lyrical Metal with Progressive/Power Metal, combining the lyrical/prog vibe of bands like QUEENSRYCHE, CRIMSON GLORY, FIFTH ANGEL plus the powerful feeling of bands like HEIR APPARENT, RECON and RIOT! “Castle Of Ice” CD includes both the band’s demos, “Judgement Day” (EP/Demo 1996) with the beautiful voice of Mike Blair (Heir Apparent, Etheria, Spellbinder), “Castle Of Ice” (EP/Demo 1994) and “Faded Dreams” (EP/Demo 1993). One disc, 18 tracks in total, over 72’ minutes of music, including everything the band ever recorded. All the songs have been remastered by Kostas Scandalis (Wardrum, Horizons End) at Infinity Studios and will be presented on a great deluxe jewel CD package, with a 12-page glossy booklet, featuring original covers, never seen before band photos, bio and lyrics! Another US Lyrical Prog/Power jewel will be released the way it deserves! Don’t miss it! 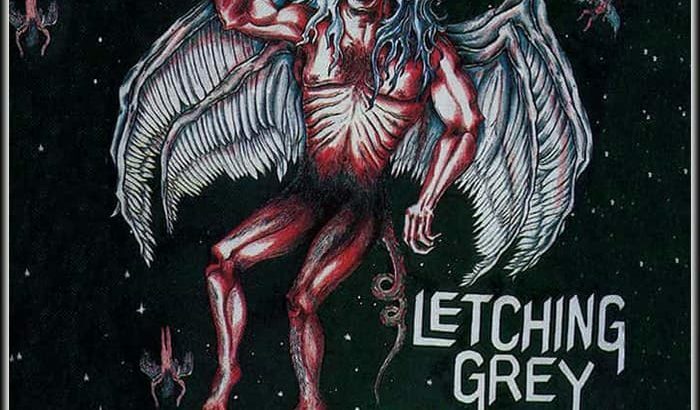 Originating from St. Clair Shores, MI, U.S.A., Letching Grey started out as high school friends back in 1982. Sean Kelly and Derek Lavis had the idea and the name. With everyone just starting out on their instruments, the band practiced relentlessly. As a high school band, there wasn’t much they didn’t achieve, winning their high school battle of the bands, playing bars, playing church festivals, and playing many parties. Letching Grey had made a name for itself. Through the years, the band saw many member changes. Eventually, a stable guitarist would be found with Sam McGee. In 1992, Sam McGee was searching through a local music newspaper, Jam Rag, to try to find a band to join. He came across an ad that read, “Letching Grey seeks lead guitarist for original melodic speed metal band . . .”. The phone number listed on the ad was Derek Lavis’. Sam called, and Derek told Sam about how Letching Grey’s influences were Black Sabbath, Judas Priest, Iron Maiden, and others. Derek also told Sam that the lead vocalist for Letching Grey was really good. Sam thought, “Hmmm . . . I’ll be the judge of that.” So, Sam drove his car to Derek Lavis’ house in nearby Detroit for an audition soon after. During that audition, Sam was told that he was just one of several guitarists who had recently auditioned for the role of guitarist for Letching Grey. Sam also heard practice-session recordings of “Last Rites” and “Signature Of The Dead” for the first time. He and the band jammed a couple of Black Sabbath songs that they all pretty much knew how to play in order to feel each other out. By the time the audition was wrapping up, both Sam and Letching Grey realized they had a lot in common, and it seemed like a special bond was already forming. The guys walked with Sam out the door to his car, but Sam’s car was gone. Only small pieces of broken glass remained where Sam’s car was once parked. Sam immediately turned his head to look at Derek, who had already dialed “911” for the police and had the phone in his hand with his arm extended near Sam’s face. The police found Sam’s car three days later, and it took a few weeks for his car to be repaired. Meanwhile, Sam was driving a rental car to not only practice with Letching Grey, but also to frequently hang out, drink beer, watch Detroit Red Wings hockey on television, and go out to local bars to check out other bands with Letching Grey. The guys had become a tight-knit family. Three years after finding Sam, the band had earned enough money from playing gigs to go into the studio. At this time, the band looked to original Letching Grey bassist, Mark Gastmeier, to take on the bass guitar duties for the record. More rigorous practicing took place to get ready for the recording. 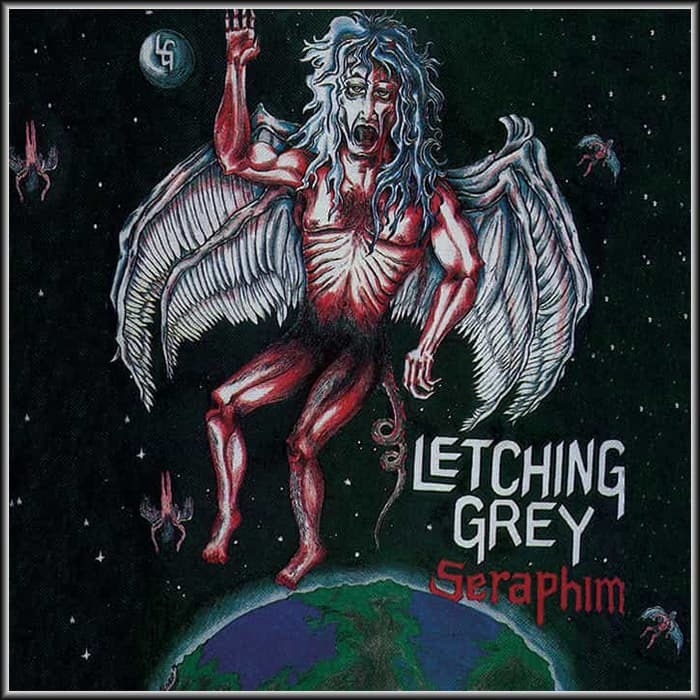 After all those years, Letching Grey finally put out their first record, “Seraphim”, which put them on the map in the metal world.